Summer Trends – Dresses galore! I’ve had a rather busy/stressful couple of weeks, so apologies on lack of regular posts! Busy with pushing forward a project as fast as I can before I leave the country for a conference, in addition to finding out I’m moving at the end of the month (thank you University housing for the last minute notification! ), I’ve been a little bit of a mess with very little sleep! In addition I have been itching to go shopping, I haven’t had a chance to go to the mall/stores recently, but I have been online window shopping… every few months I decide to spend 100$ or so on some new pieces. I had been looking at new arrivals/dresses on Charlotte Russe, Forever 21, and my fashionista friends told me about Zara’s summer sale on summer dresses! I was ecstatic, but I don’t get paid until next month so dresses will have to wait (my online shopping cart is full and waiting! 😉 ) I am tired of the clothes I have and I need some new pieces for outfits to shoot! 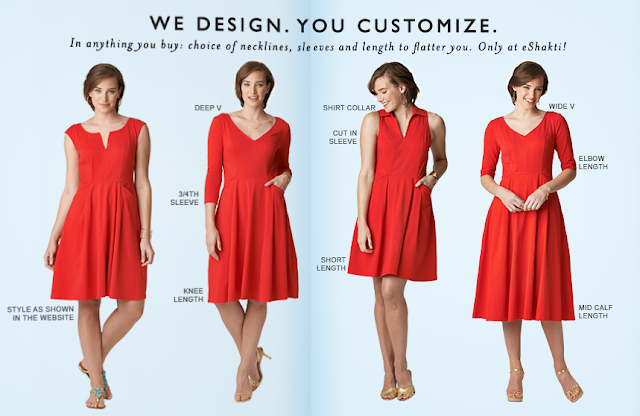 I really think this is cool – same dress, different neckline, sleeves and length! In one of my recent posts, I wore a romper with a geometric print, and I have been seeing so many people/bloggers wearing cool jumpsuits! These ones I selected can totally be worn to the lab (the pant ones, not the romper), and the necklines aren’t too revealing! 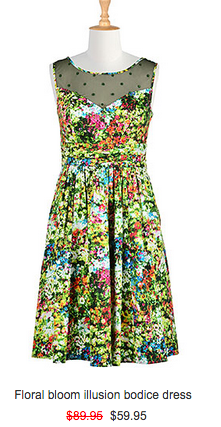 The floral romper would be great for a weekend brunch with friends! 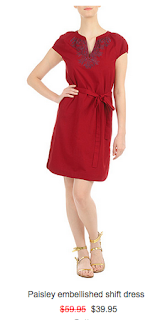 I really adore the Chambray jumpsuit and the Herringbone Maroon jumpsuit – they seem to be very flattering! 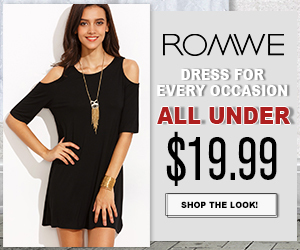 Black is always in style, and the LBD is perfect for a night out! I don’t get to go out very often, mainly because when Friday night comes around and I just worked a crazy long week in lab, I don’t feel like going out, and a netflix night and wine sounds amazing – but every so often it is nice to dress up and go out! I went out this past Friday night to West Hollywood, and I had a great time! I wore a LBD and felt so fabulous! I love the neckline of the Havana dress, and i love the skirt detail of the Floral lace shift dress and the embellished tulle dress! Since I am SO EXCITED to go to Barcelona and Cyprus in a month, I am dreaming of summery nights and days on the beach – and what better to signify summer than WHITE! 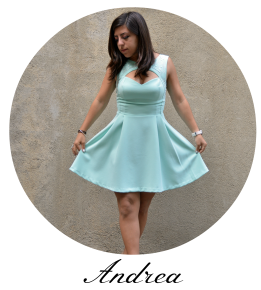 I am in love with each of these dresses I selected here! I tend to try to avoid white because I always spill things (whenever I wear a white top to work, I always spill coffee! 🙁 oh well). 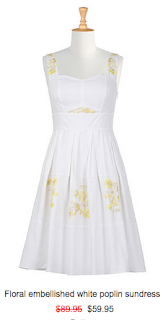 But I absolutely love the skirt detail of the embroidered mesh poplin fit and flare dress! how fabulous is that! 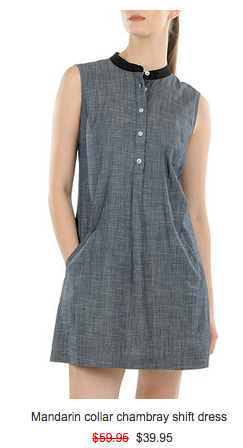 And the detail of the neckline of the Morgan dress?! Do you like wearing white? Checkered and Chevron patterns are super fun! I really like the colors of the check notch neck dress, and it looks super flattering! 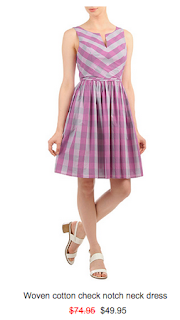 Similarly, the check shawl color dress looks super fun and cute for summer. 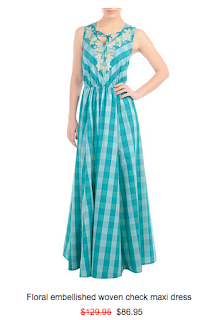 The check maxi dress I am in love with, particularly the neckline with the floral embellishments! 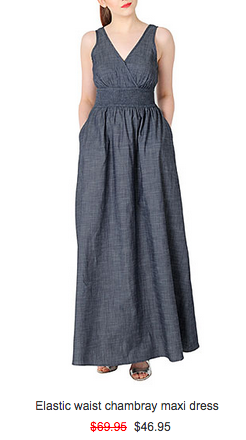 Maxi dresses are perfect for summer nights, and can even wear to lab! Such a cute trend for summer! This trend was one of my favorites, and I couldn’t pick just 3! 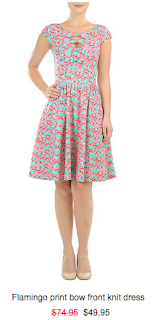 I love fun patterns and styles, and I just love these picks from eShakti! I have seen similar trends on other websites as well! 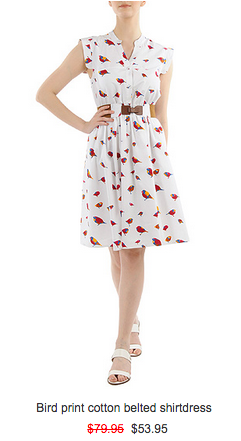 Cute whimsical prints make the piece a statement, and the center of attention! 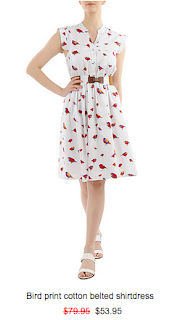 Whether its the whole dress, a cute skirt, or a statement top, what a better way to dress this summer! I can’t pick a favorite from these! Again, can pair with some leggings, but better off wearing statement pieces out to dinner or brunch! I’ve been looking at Chambray as a trend for months now, and have yet to buy a piece. 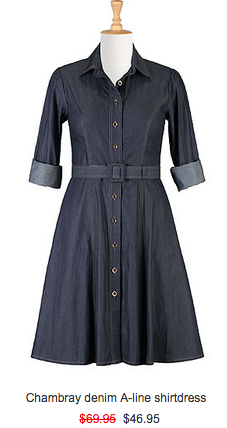 I am itching for the perfect chambray piece, as most of my friends I have seen wearing chambray wear a chambray button top, but eShakti’s chambray selection is beautiful! I fell in love with the chambray maxi dress, I saw it on the model on their website paired with jewelry and I NEED IT! and with that price, with my coupon code, why not!!! 😀 Perfect addition and super cute! 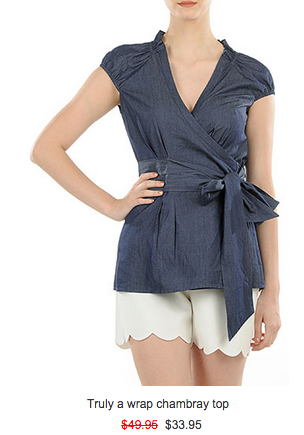 The chambray wrap top is also so easy to wear to lab, can be so stylish and comfy! What do you think about these trends for summer? And what do you think of the pieces I selected? Would you wear these to work, or more for out with friends/dinner/brunch? With these prices, why not check it out! Definitely a great deal with my coupon code you can use! Great picks.dresses are my favorite thing to wear this season,. Hey Andrea! Wow, you have a lot on your plate. I can't believe housing gave you last minute notice like that. So unthoughtful. THE WORLD! HaHaHa Well you're handling it and will get through it. Clothes can be so expensive, but it sounds like you're getting what you want. You're going to have a marvelous trip. Enjoy yourself. 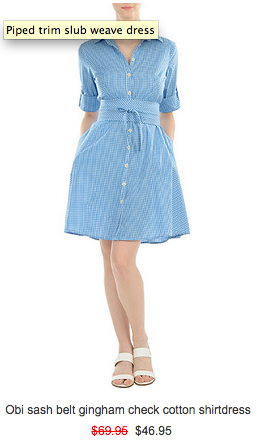 I love the chambray pieces from eShakti. They have a wonderful selection. I love eShakti and how they have sizes for everyone! Their jumpsuits are super pretty. ps. good luck with your upcoming move!